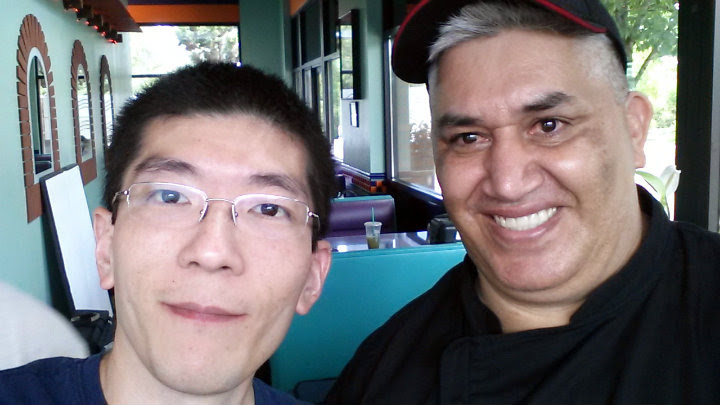 This summer, Allan's Authentic Mexican Restaurant has gotten some major press. At a date to be determined, the Travel Channel stopped by to film episodes of Man v. Food and Food Paradise. 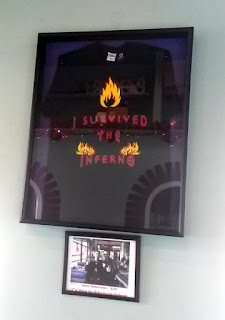 While I wasn't there for the MvF taping, I managed to stop by for the latter. Casey Webb is the new host of Man v. Food, succeeding Adam Richman. The new season starts this month and reportedly will have 10 episodes. I don't know where Portland's episode will be in the series. 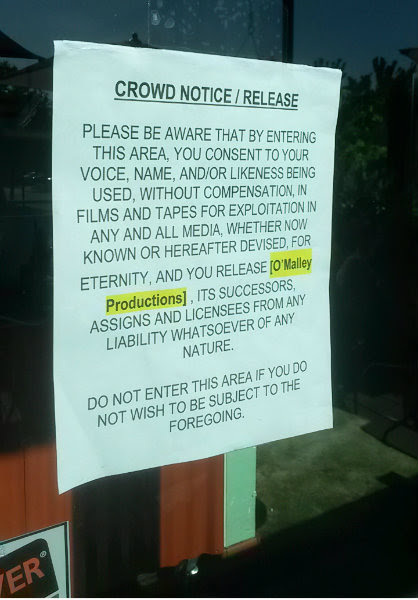 Unfortunately, I was out of town on the day they filmed. I would have loved to be there to cheer Casey on. 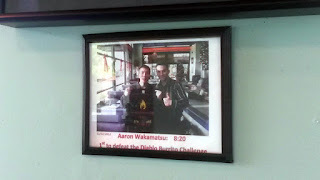 When I showed up a few weeks ago to the Food Paradise taping, I of course had to sign a waiver and get my photo taken with the waiver. When the production team found out I was one of the two Diablo Burrito winners, they immediately wanted to interview me. Of course, I don't know if I'll be featured on the segment or how much I'll be shown. But at least I got treated like a VIP for a couple hours. I tried the Shrimp ala Diabla for the show. 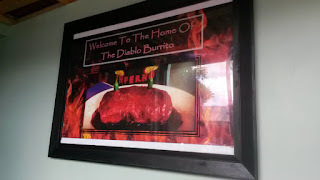 It's treated as the little sister to the Diablo Burrito, using the same sauce as the challenge burrito but without all the crazy peppers. You can get it on a scale of 0-10, with 10 being around habanero level. After chatting with one of the owners, I agreed to get it at a 4/10 so that I could best explain the flavors and the heat (otherwise, I was totally getting the 10/10 dish). The shrimp dish is awesome. A bit smoky; slight crunch on the cooked vegetables (peppers, onions, and mushrooms); and juicy, tender butterflied shrimp. You'll get about a dozen shrimp here. It's served with delicious beans and rice on the side, and a few homemade flour tortillas. 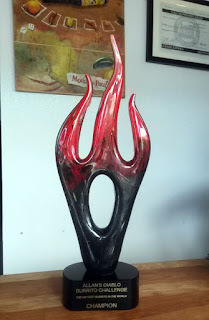 I didn't get a photo this time, as I wasn't sure at the time if I would blog about this. The sauce is dark red, much like the sauce poured on top of the burrito. That being said, the sauce is delicious and not as nuclear spicy as it appears to be. Other people got the same dish, some slightly spicier (6/10) and some slightly milder (3/10). We tried those dishes as well, and I couldn't really tell the difference at the time. There was noticeable heat on mine, though. Very happy with that. 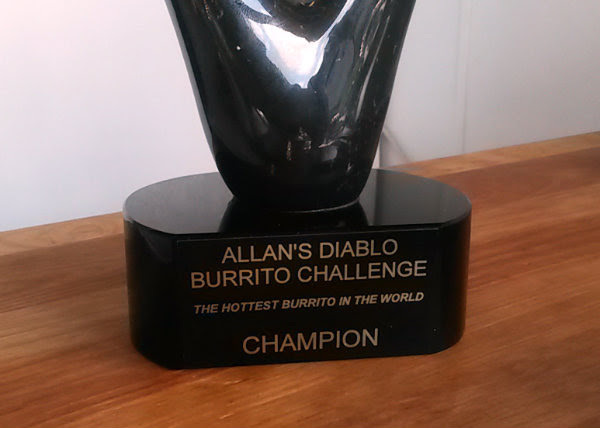 To say I'm amazed at the growth of the Diablo Burrito video would be an understatement. At the time I put the video on my channel in January 2013, I had fewer than 1,000 subscribers. 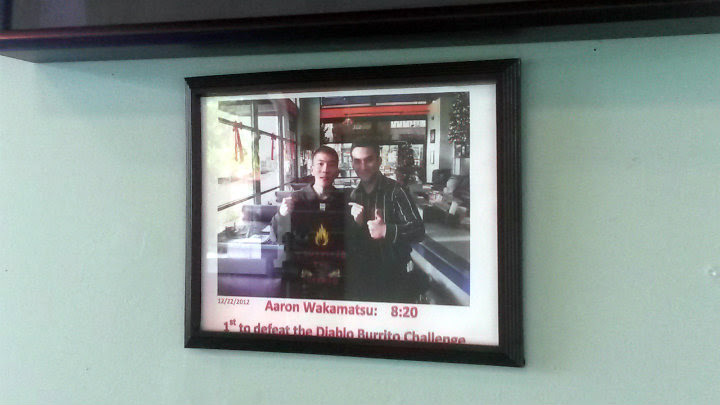 I figured it would be a huge success if I even got a thousand views on the Diablo burrito video. Fast forward four and a half years. 890,000+ views and over 24,000 more subscribers. The video has been shared several times on social media and even briefly made it on Reddit a while back. No way could I have imagined this. 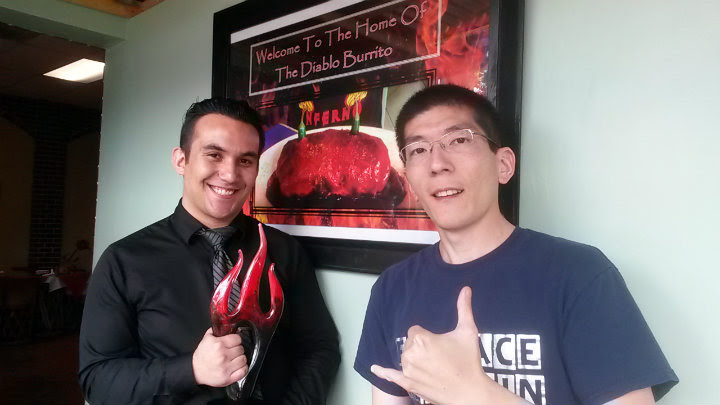 I swear, I just wanted a spicy burrito at Allan's that day, and ended up making some new lifelong friends. And yes, here's the video for anyone who hasn't seen it yet. At the time, I still had only picture on their wall for the Diablo Burrito. I did suggest to the owners of Allan's to have a watch party for both appearances when they get the air date for each episode, so we'll see if that happens. In the meantime, head to Allan's for some delicious food and awesome drinks! No challenge burrito required.